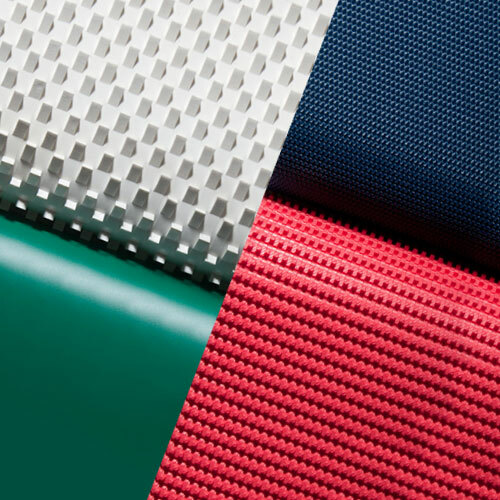 A full range of belts for conveyor specific for tannery including PVC, PU, Rubber and Sylicone belts. 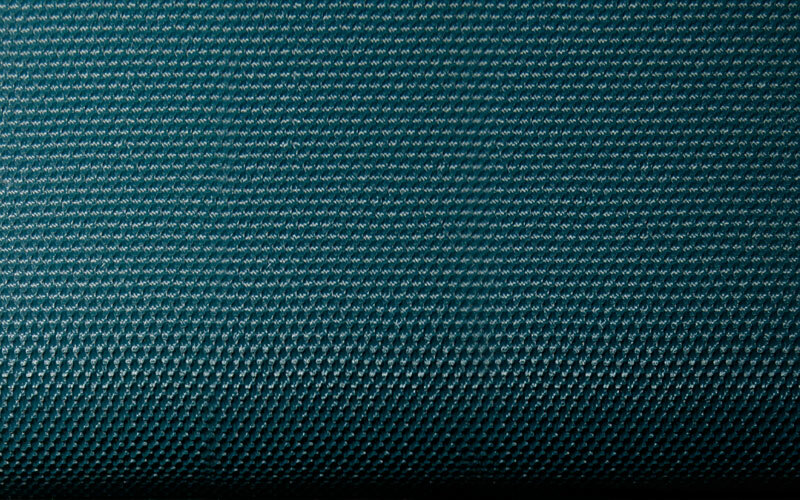 Antistatic Condubelt specific for dedusting machines High Quality Felts for Sammying machines and for Ironing/Embossing machines. 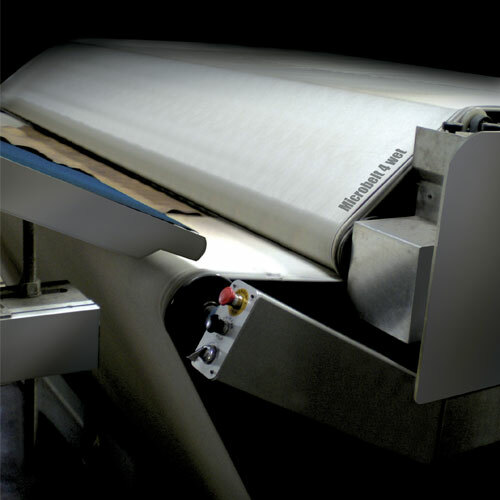 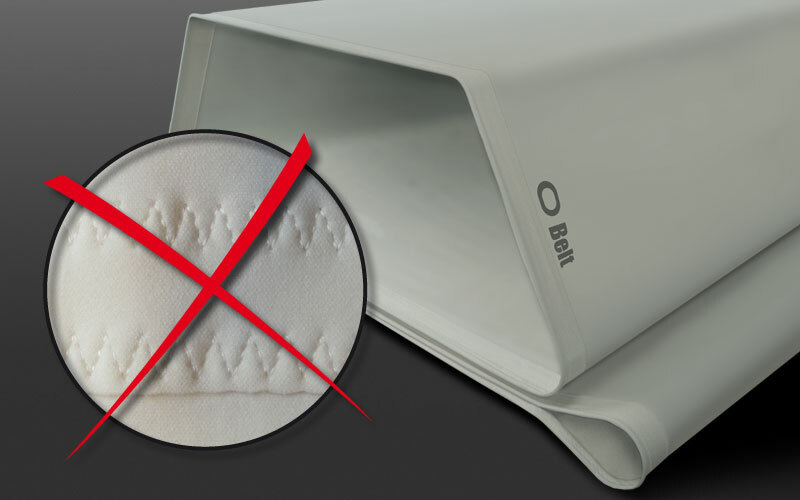 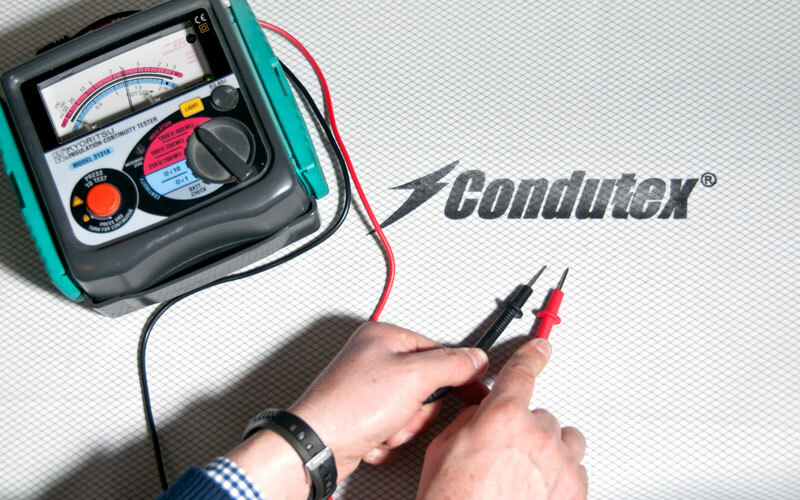 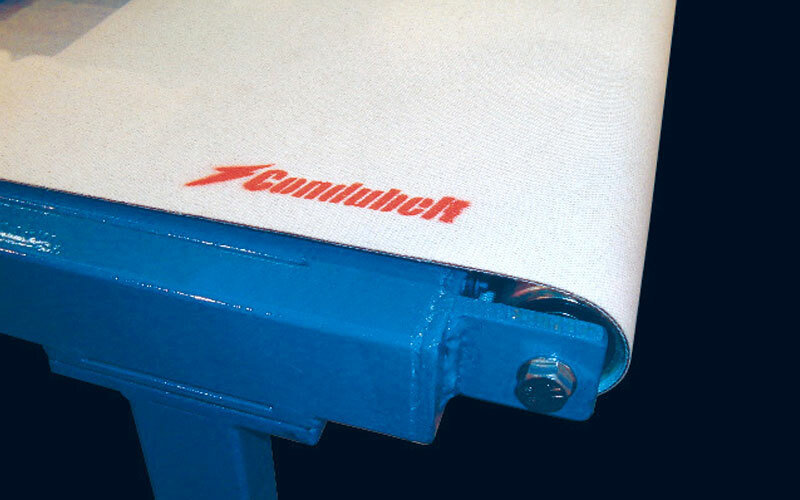 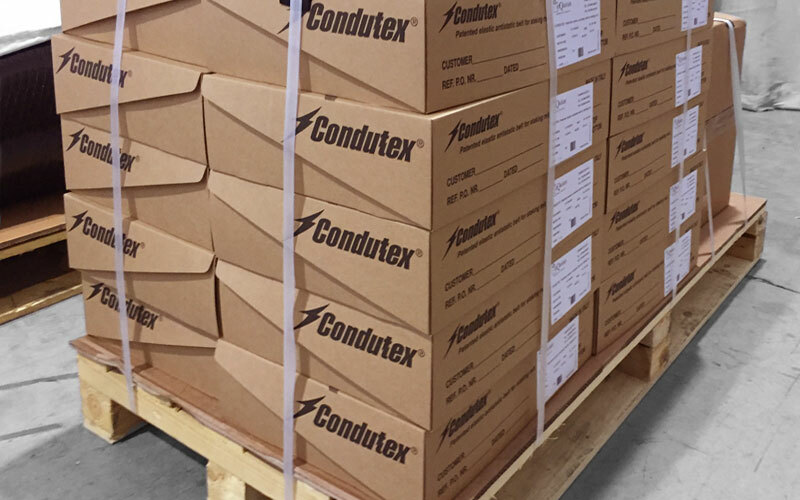 New Condufelt, antistatic Felt for Ironing/embossing machines is also available. 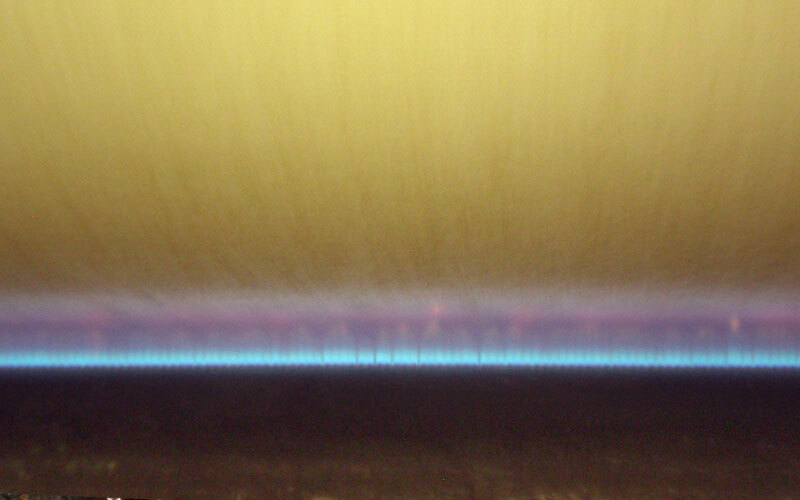 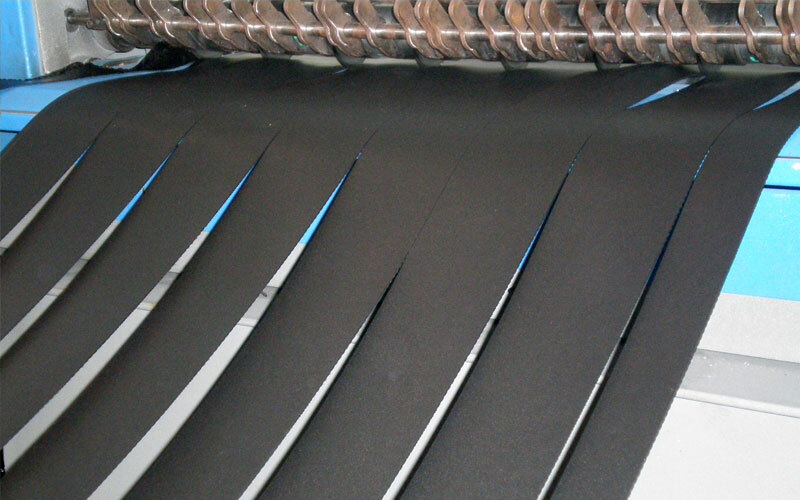 High Quality Felts for Sammying machines with mixed composition: wool + syntetic. 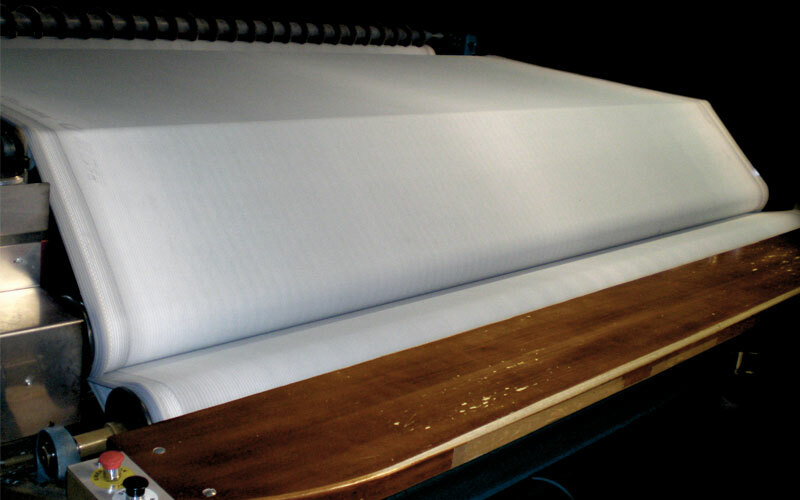 Different thickness according to different density for any application also for extreme sammying. 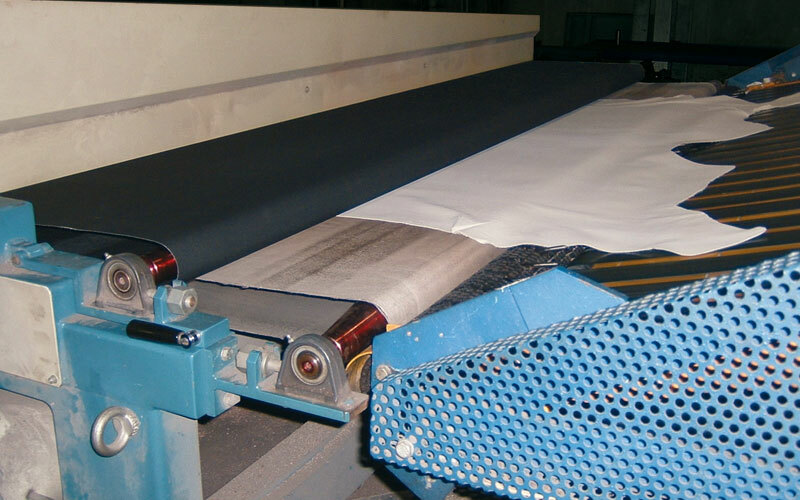 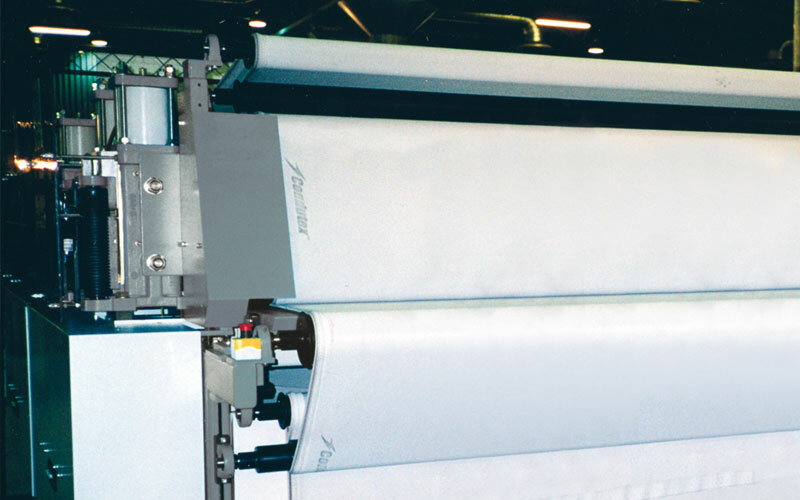 High Quality felts for Ironing/Embossing machines. 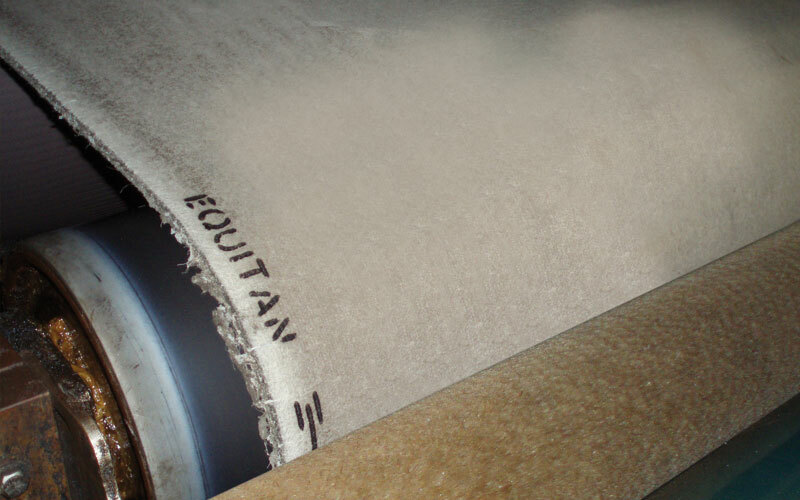 Density 6500 gr/sq.meter, 8000 gr/sq.meter and 9000 gr/sq.meter. 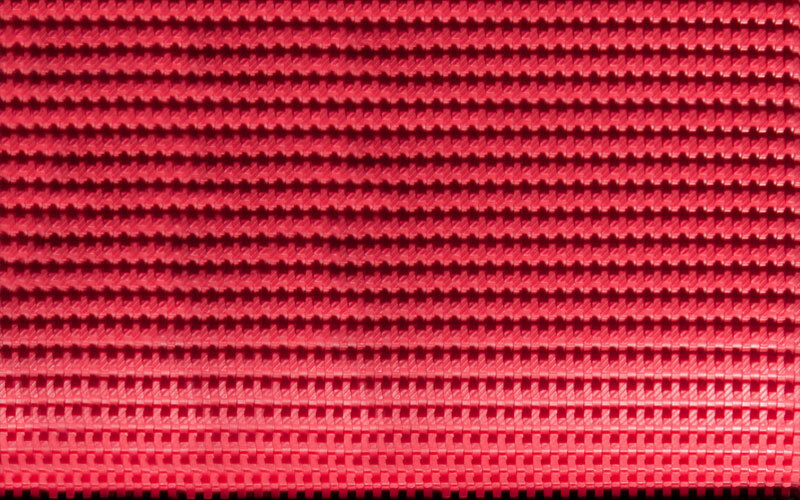 composition 70% syntetic + 30% wool. 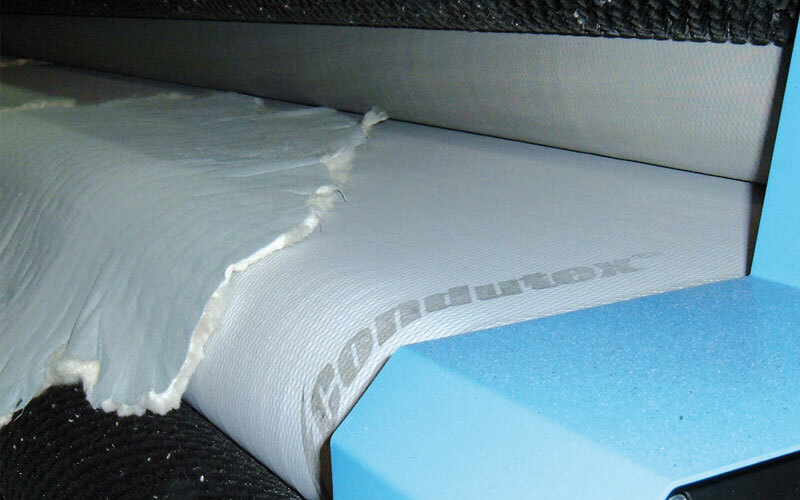 New CONDUFELT, antistatic Felt for Ironing/embossing machines is also available. 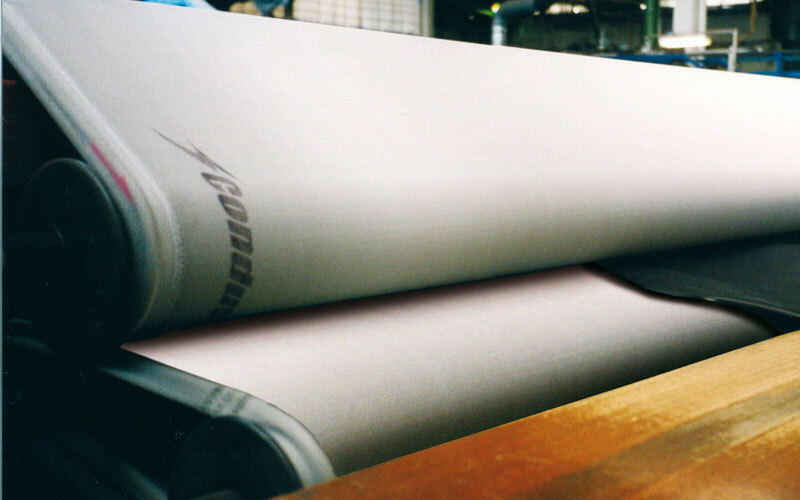 The patented elastic Antistatic belt for stakers containing conductive fibres, Chosen by the best tanneries in the world! 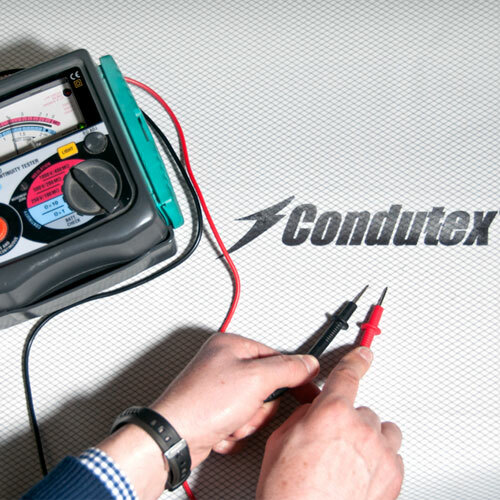 The Condutex elastic belt for stakers is made from a unique elastic, antistatic fibre- conductive unfrayable material covered by patent rights, specifically produced for use in staking machines. 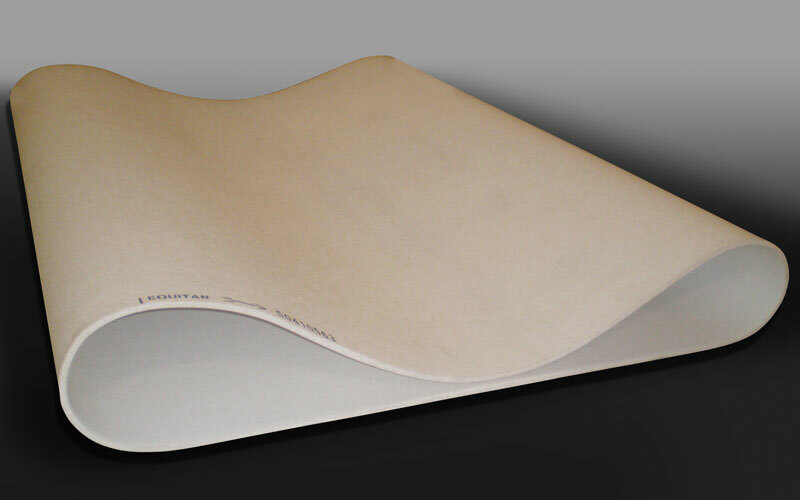 The regular version features standard thickness, good resistance and long-lasting elasticity. 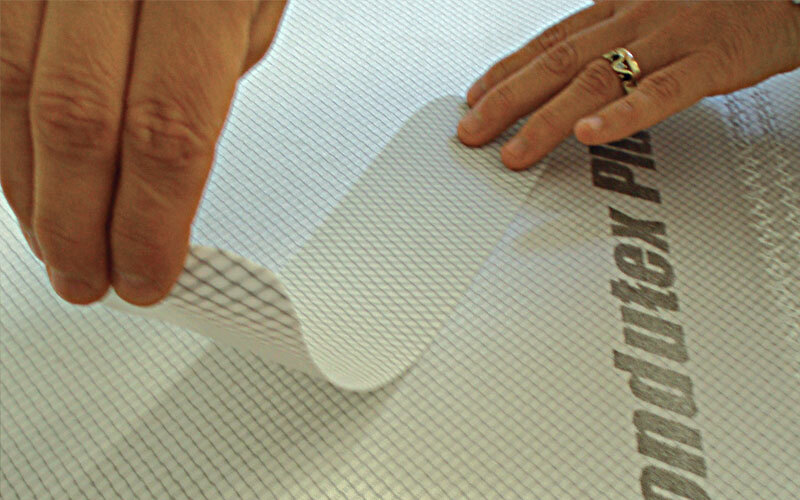 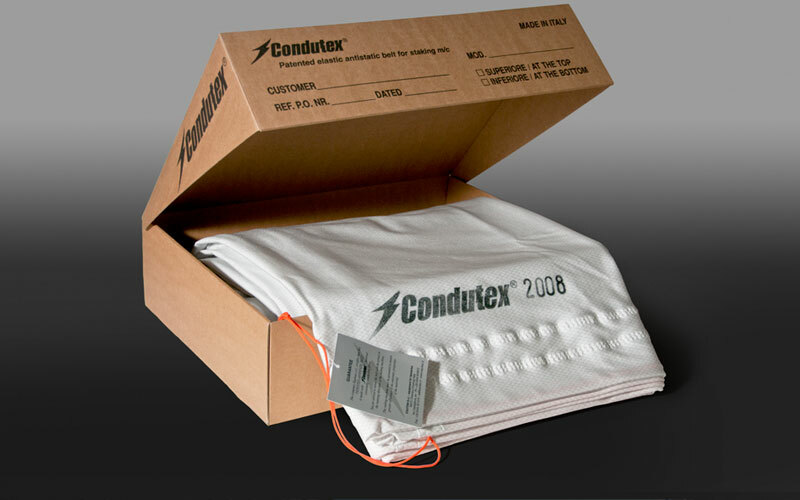 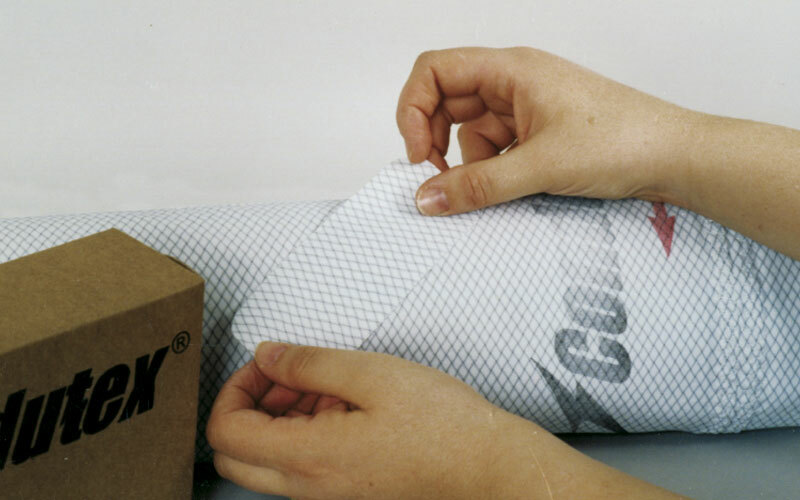 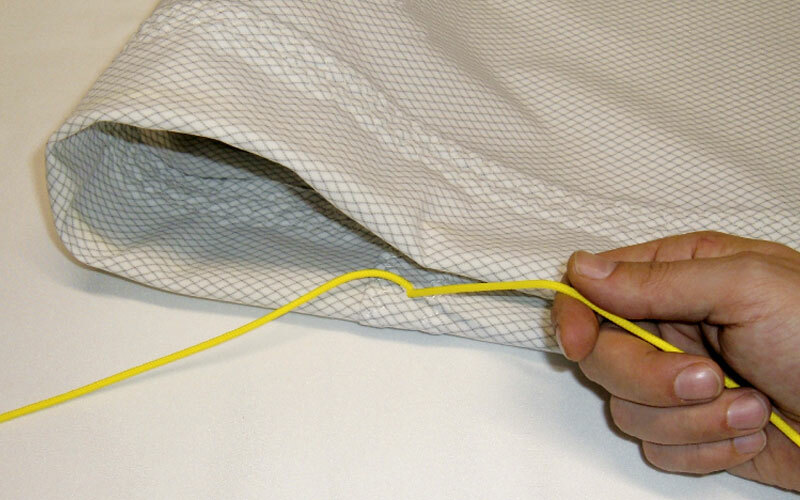 Condutex 2008 is an improved version with better performances and durability with the new fabric about 1 mm thick. 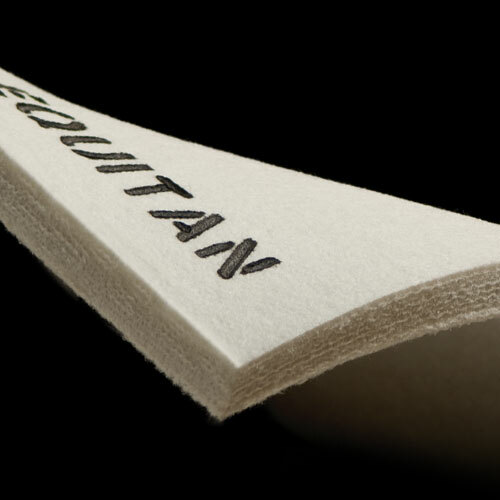 Equitan elastic antistatic belt born in 1999 and it is manufactured in a material containing an antistatic fabric structure able to discharge the static electricity generated by the leather staking action. 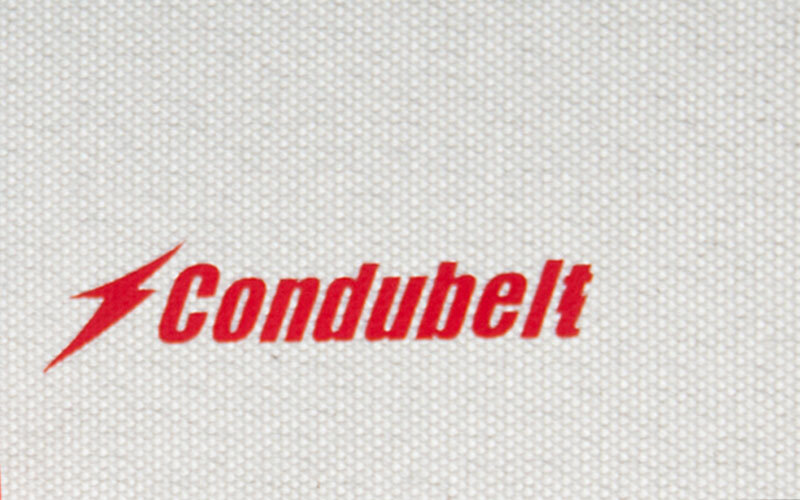 The belts was introduced, patented and registered with the name Condutex. 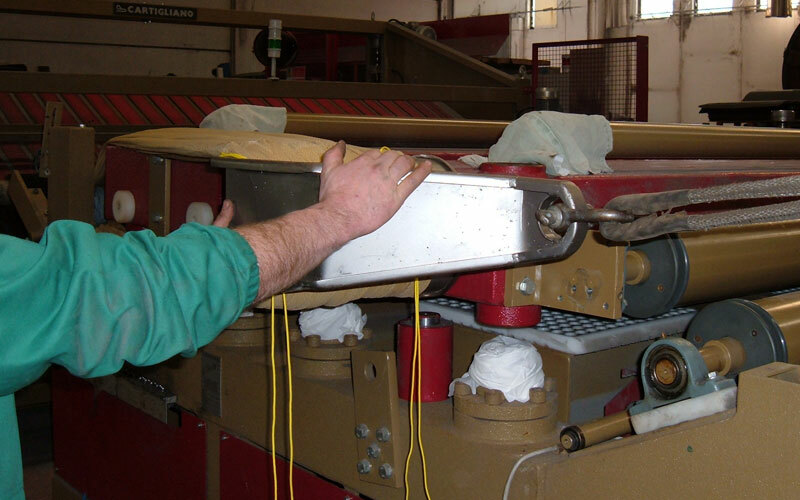 When using this belt on vibration staking machines no dust adheres to the leathers and its service life is extended compared with that of other type of belts. 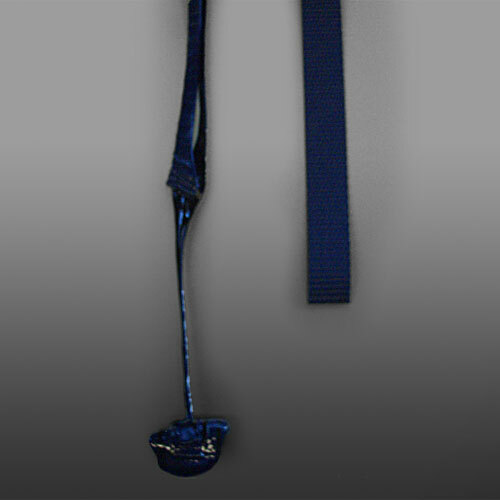 Easy-in is a cord located inside the edges of the belt to assist insertion of the elastic PU rope. 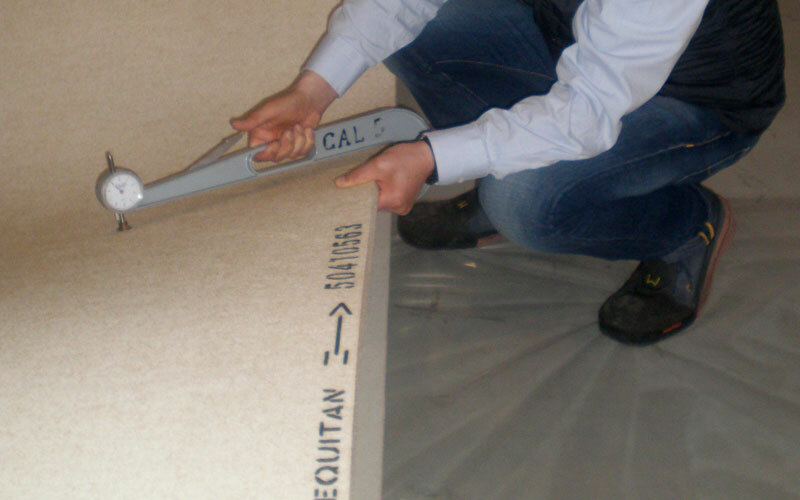 Easy-fit is a user friendly tool to facilitate the replacement of the staking belts. 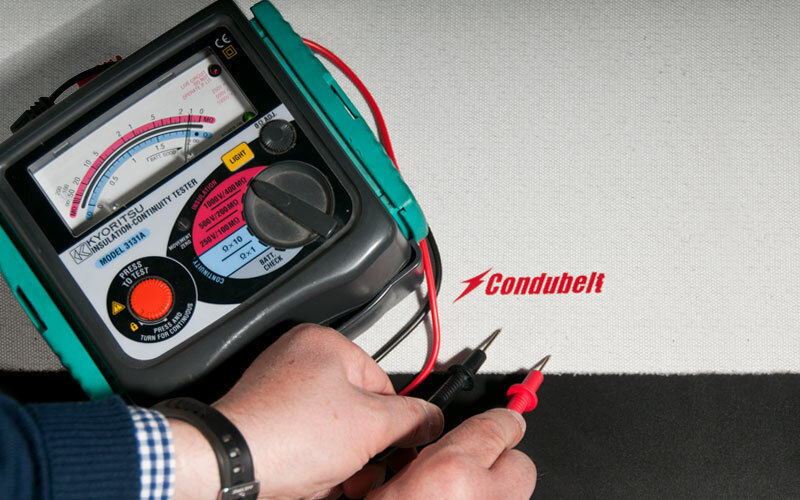 The belt repair kit includes special self-adhesive patches which are easy and quick to apply to repair any minor damage to belts. 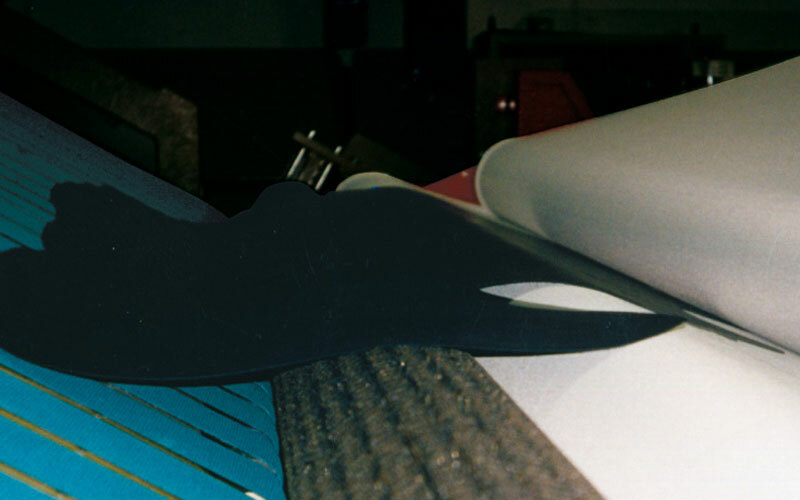 Patches are available in different shapes and sizes. 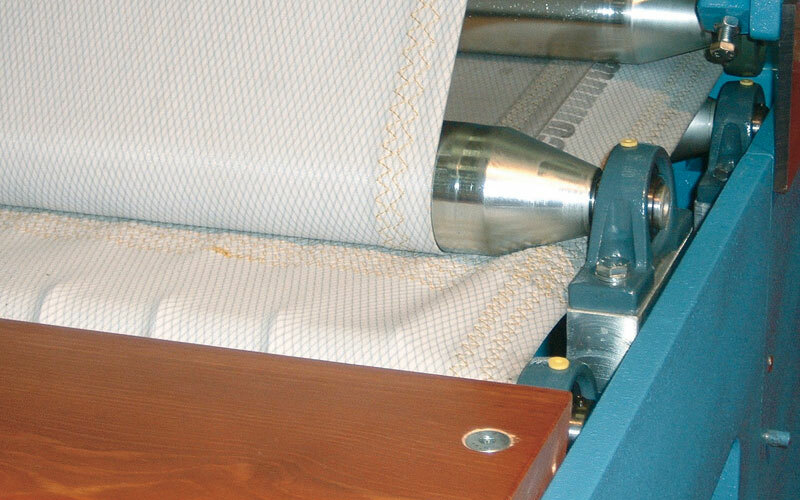 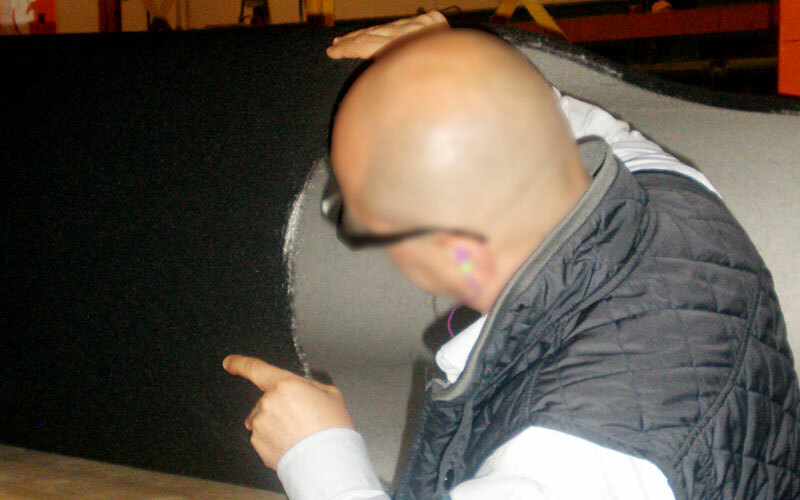 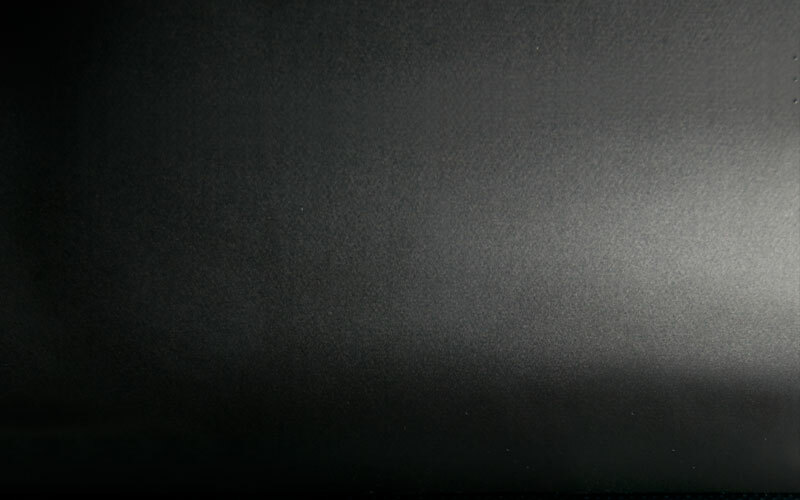 During the dedusting process especially after buffing, static electricity created during the buffing action causing the adhesion of dust particles to the leather is a critical problem. 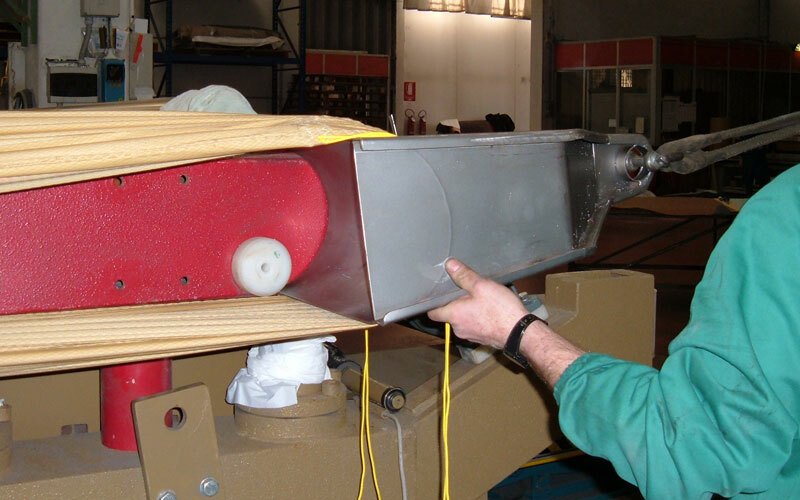 A good help to avoid this problem is the antistatic conducting belt Condubelt to mount on the dedusting machines capable to discharge the static electricity on ground trough the roller and the frame of the machine. 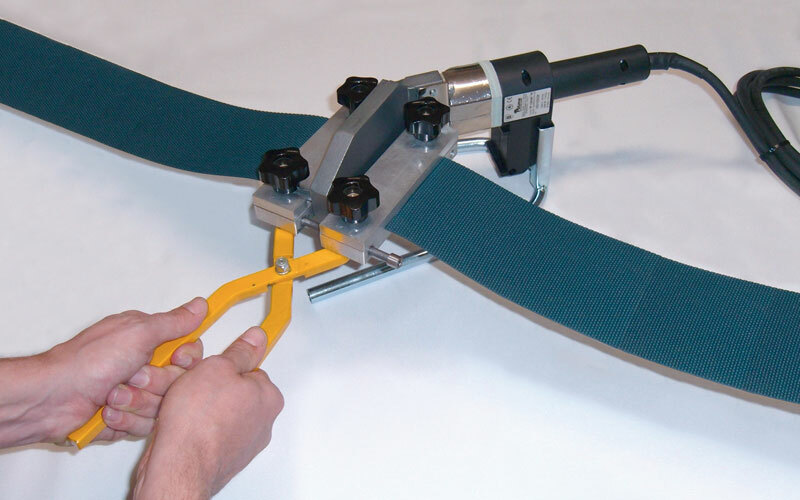 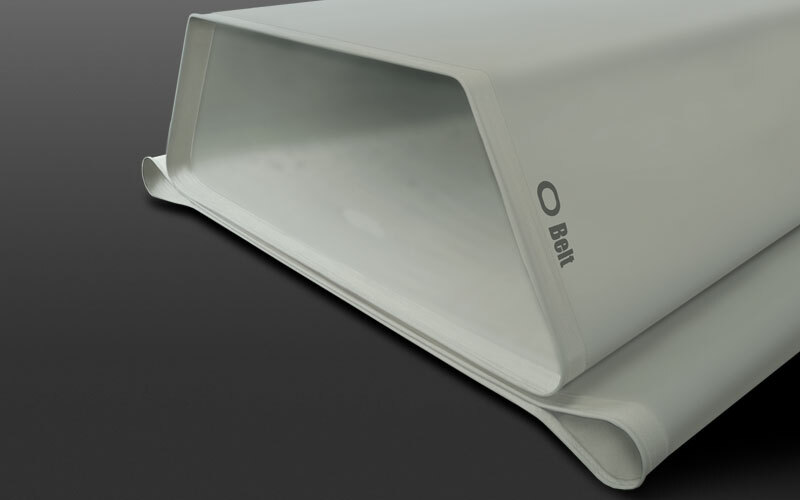 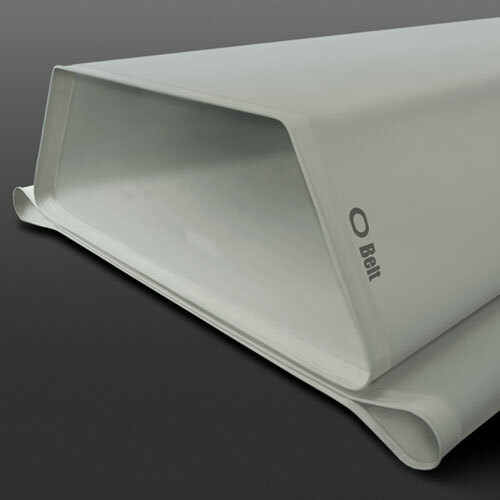 O Belt is the joint free elastic belt for staking machines. 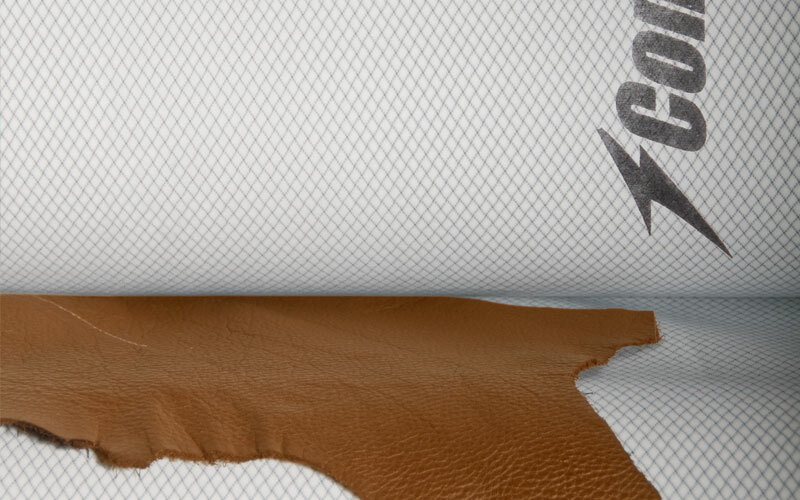 A real and proper "O" belt free of the inconvenient cross lines which often leave marks on the leather. 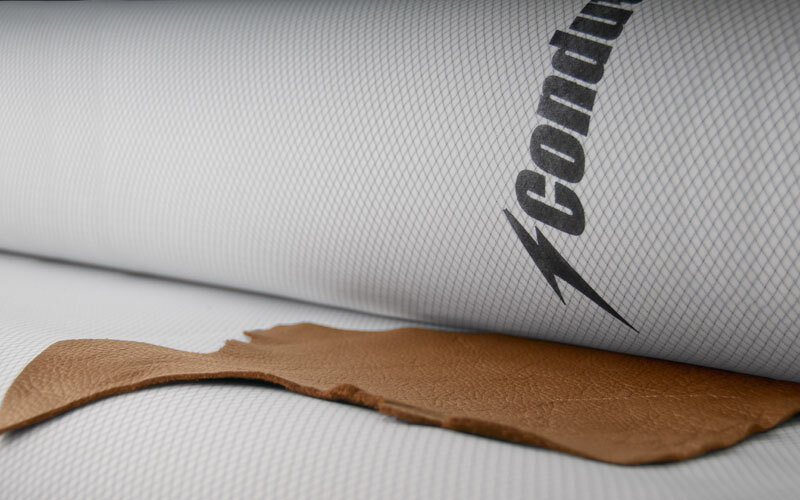 Condutex Heavy Duty version is very thick, strong and resistant (1,4 mm thickness). 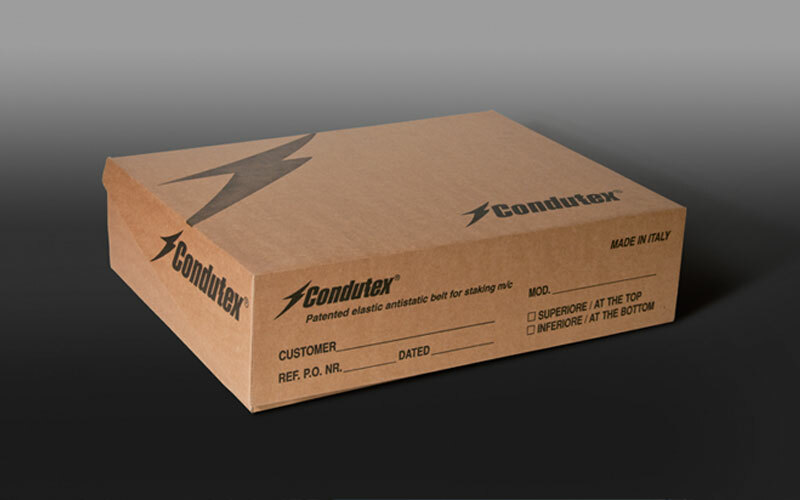 It is ideal for extreme working conditions. 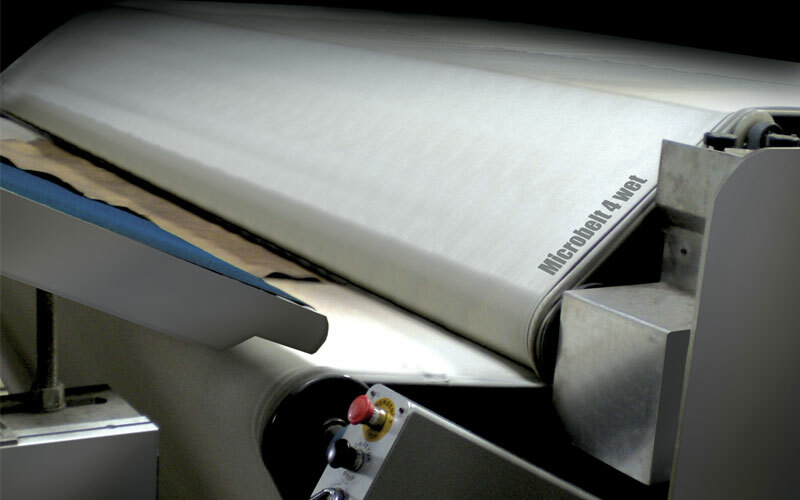 Microbelt is an elastic belt specifically made for Wet- Stretching machines. 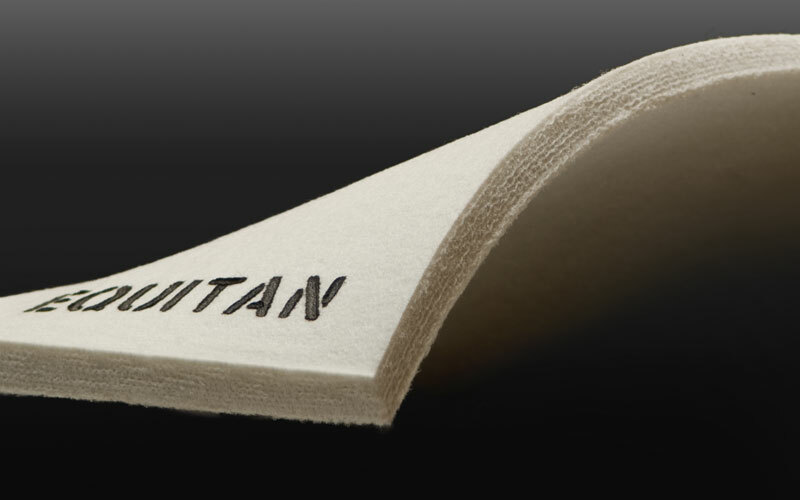 It is made with a special water-resistant elastic fabric very strong, similar to an "elastic felt". 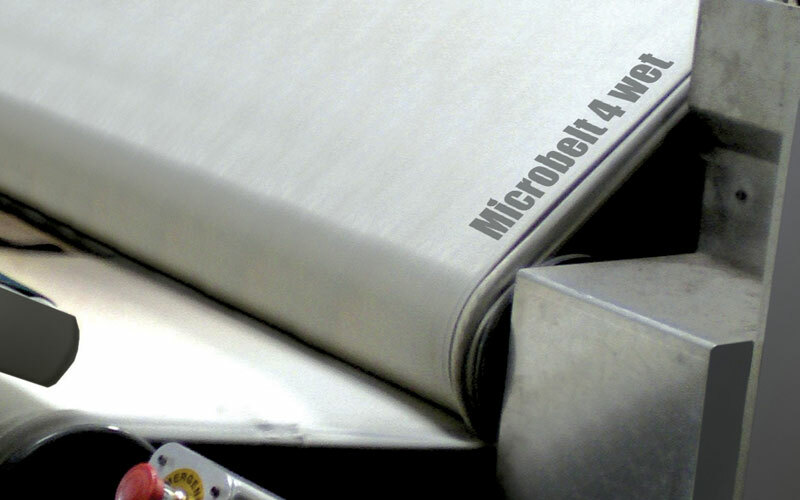 Microbelt is made with special seams to prevent marking on the leather. 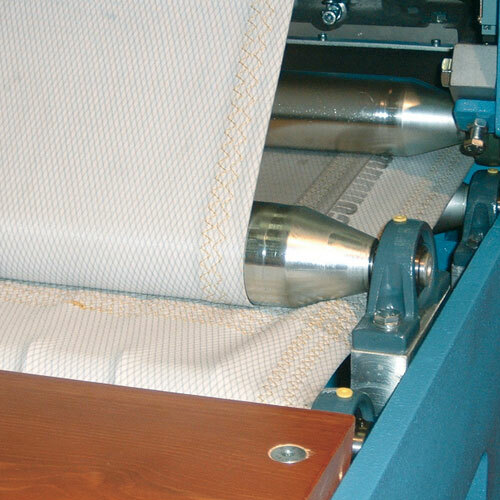 Endless belts of any width and any lenght with special joints also to work on small diameters. 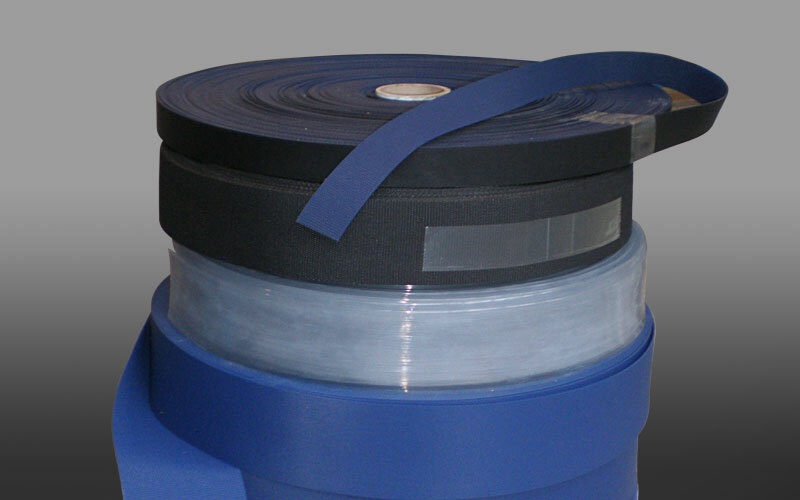  PVC belts, also oil and grease resistant (FDA approved) for special application as in lime. 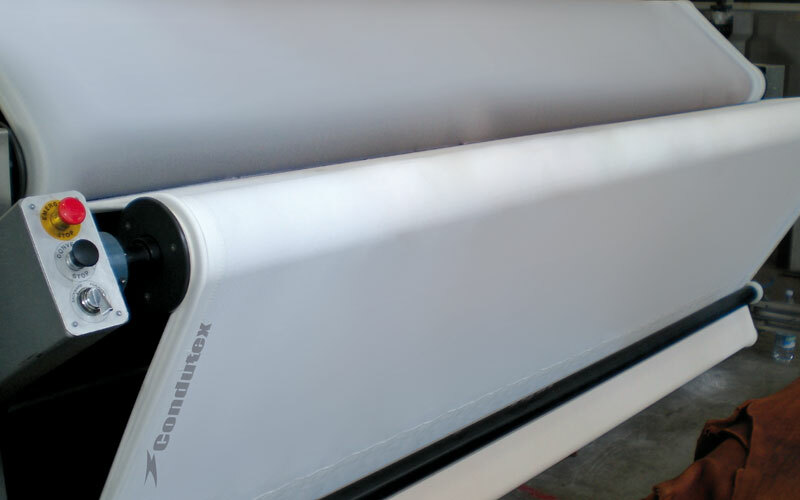 White thooted belts for extractor after lime splitting machines silicon belts poliurethane belts, special carbon conducting antistatic belts and belts without coating in the surface. 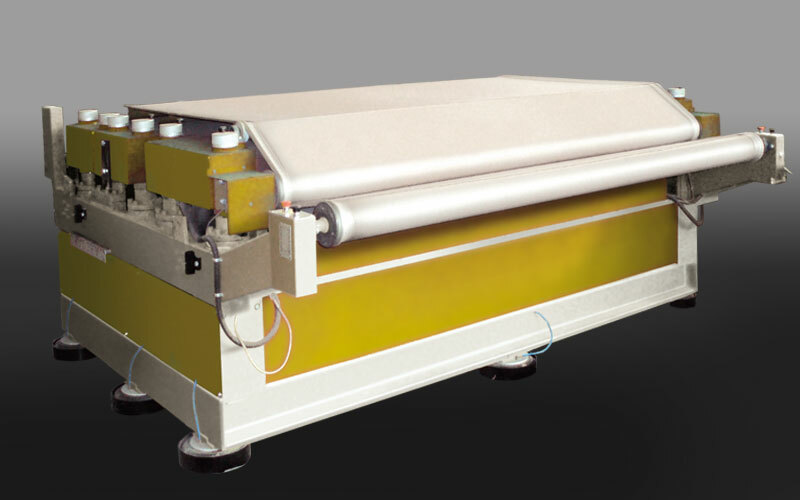 Do not hesitate to send any special inquiry. 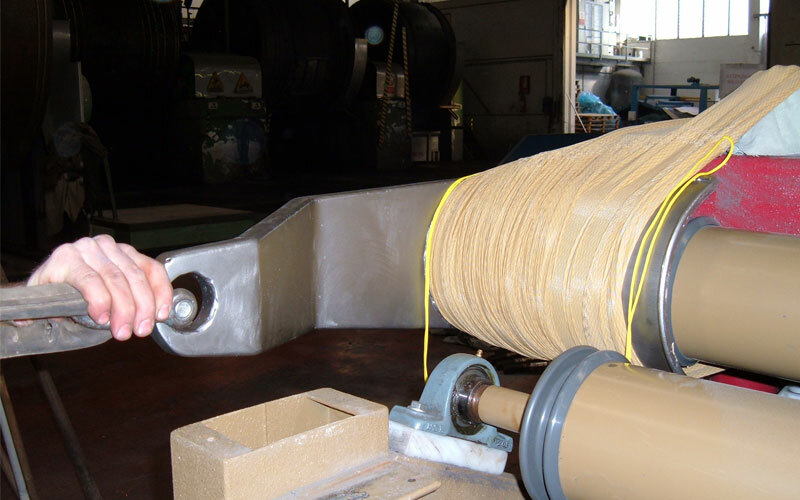 A comprensive range of elasticised and "hot welded" polyurethane transport belt in various widths – user are given the opportunity to tailor belts to suit their own particolar Applications with the aid of a hot-welding kit, an accessory also available from Equitan. 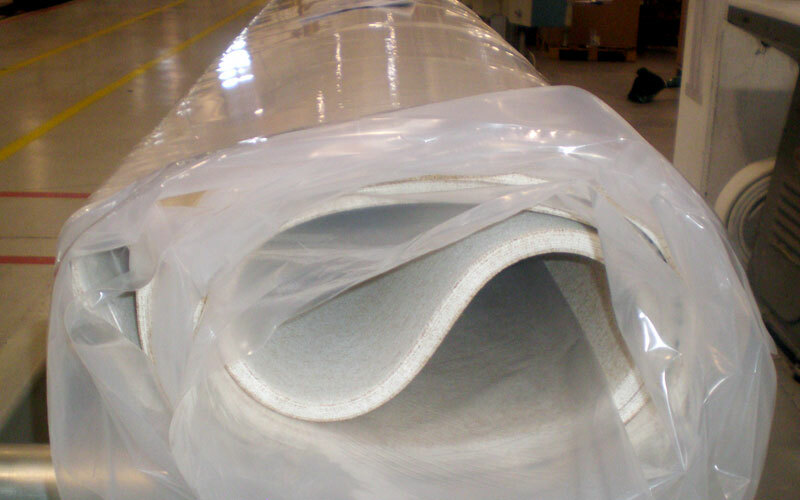 Standard width are: 48, 95, 105, 110 and 140 mm but we can make any width upon request. 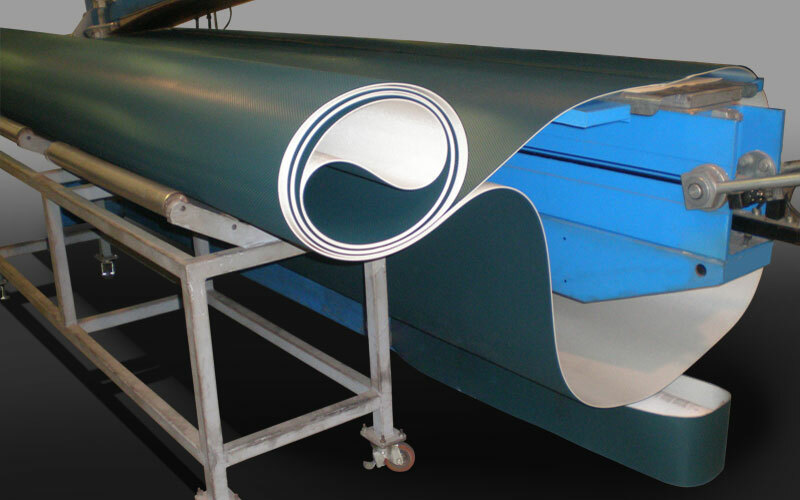 Clear transparent color for measuring bridge application, Blu color is the most popular, Black is also available and a Blu- sea color (similar to green) is also a standard. 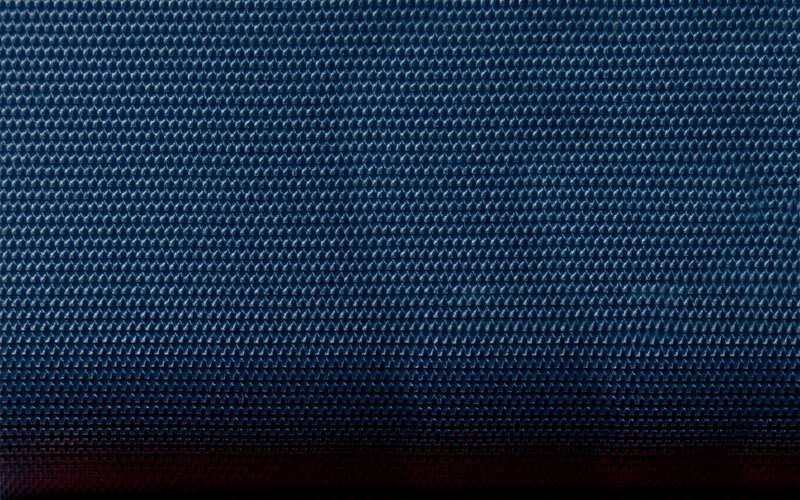 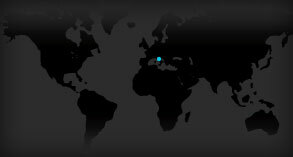 A special version Blu at the top and black at the bottom is very appreciated in the tanneries. 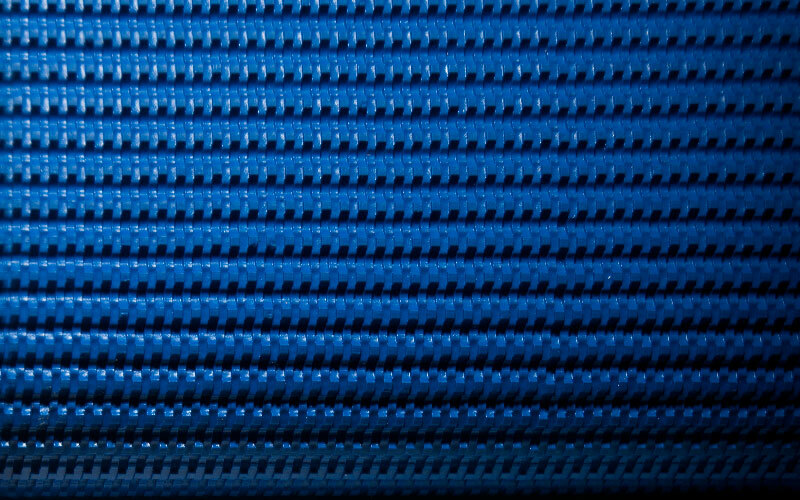 A good high grip surface at the top and a just embossed surface at the bottom to guarantee a good working with not aderence on the transport belt surface. 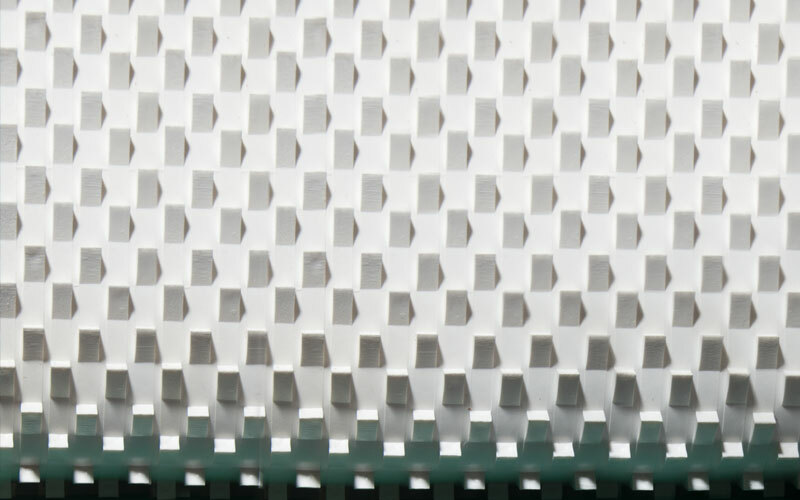 A new special versioni is the "HT line" particularly suitable for applications where a greater thermal resistance is required. 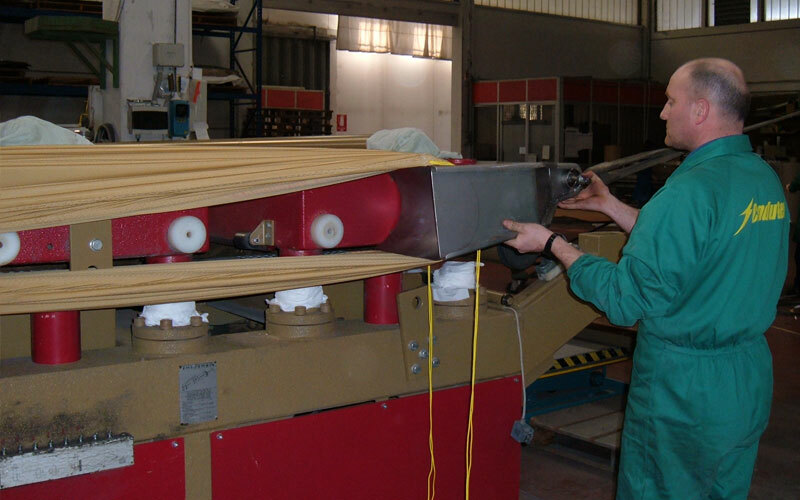 comparation between standard PU thermowelding belt and the new Equitan HGRR HT - PU thermowelding belt for drying oven. 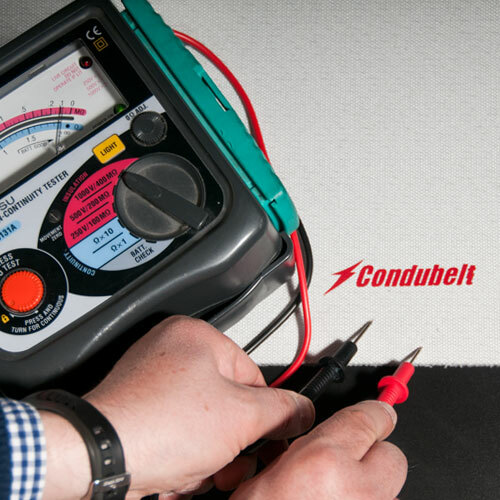 Thermowelding kit for PU elastic belts.